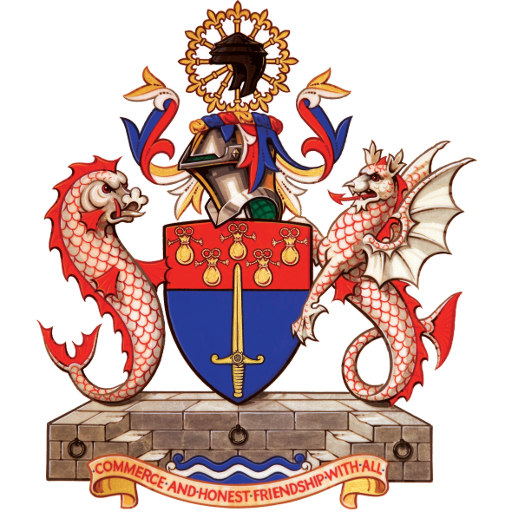 Dr Edwina Moreton OBE was installed as Master World Trader on October 18th at the magnificent Stationers’ Hall, a venue chosen in part for its connections to her profession, journalism. Edwina took over the role of Master from Alderman Professor Michael Mainelli. Edwina was formerly Diplomatic Editor of The Economist, where she worked for 30 years, having started her career in academia. She was educated at Bradford, Strathclyde, Glasgow and MIT, where she spent two years as a Harkness Fellow and post-doctoral fellow at the Center for International Studies. The same ceremony saw Peter Alvey made Senior Warden, and Sue Algeo made Junior Warden. 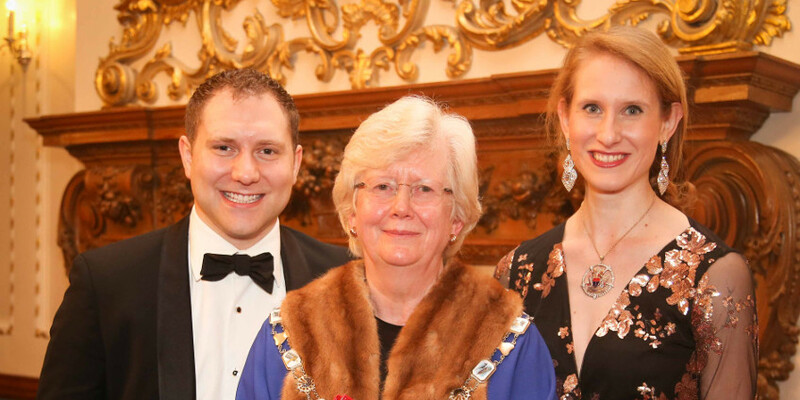 World Traders and their guests also witnessed the installation of new Liverymen, Freemen and Journeymen. At the dinner following the ceremony, Professor Heather McLaughlin welcomed the guests with a toast which can be read here. Her welcome was followed by an address by the distinguished speaker George Robertson, Lord Robertson of Port Ellen, a former UK Secretary of State for Defence and former Secretary-General of NATO. In his remarks entitled “Defending the defensible: the value of rules for a Volatile world”, Lord Robertson spoke of the remarkable Velocity of current events, and the unique Vulnerabilities that technology, climate change and other developments pose for future generations. Coping with these three Vs would take a further two: Vision and a readiness to defend the Values of our democratic societies and the system of open markets and free trade that have brought new opportunities to so many. Lord Robertson’s speech can be read here. This was followed by the new Master’s speech which can be read here. World Traders and guests also enjoyed a delightful demonstration of the virtuosity of the saxophone by Marek Tomaszewski, Edwina’s former teacher, accompanied by Ed Arm on guitar. The Master’s introduction to the music can be read here. The forthcoming events of Edwina’s year as Master will be organised around the theme of “Trade and Geopolitics”.